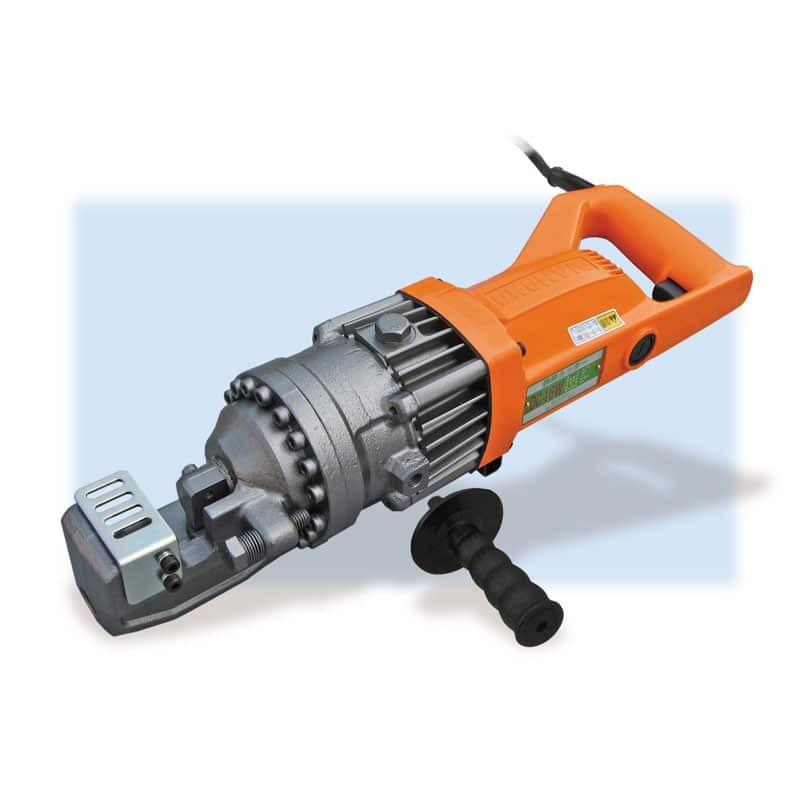 The DC-20WH portable heavy-duty rebar cutter will safely, efficiently, and cleanly cut rebar up to #6 (3/4”) diameter grade 60. We originated this concept in 1972; continuous development has led to higher output, lower weight, and even greater toughness and durability. 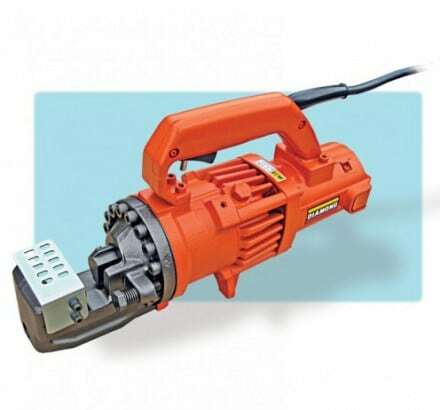 It is the most popular Rebar Cutter sold in the United States. 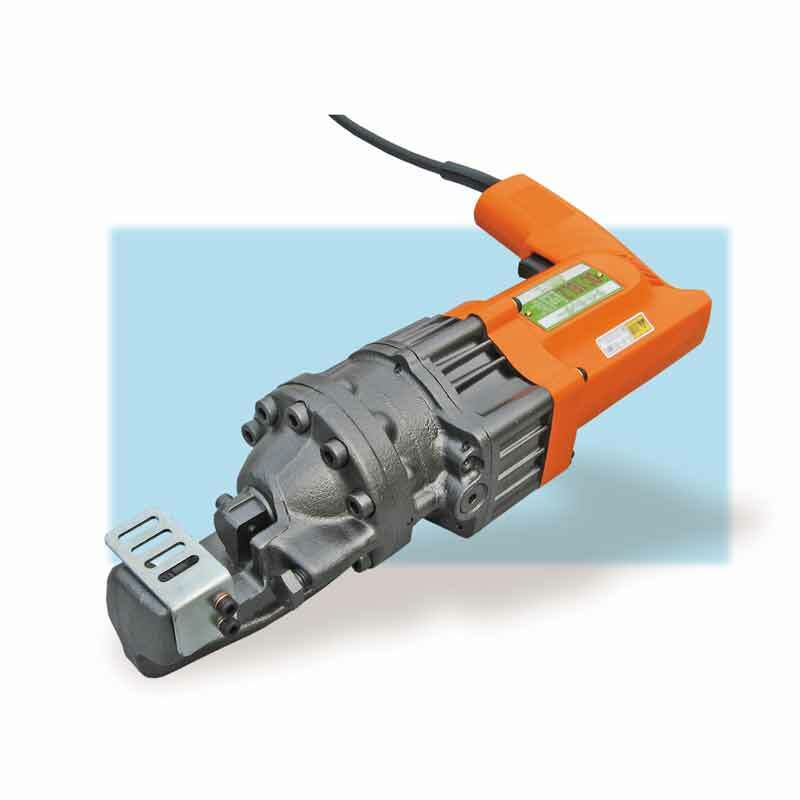 The DC-20WH is a cold-cutting shear unlike saws, abrasive blades and cutting torches. There are no sparks or flame. 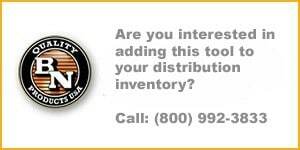 Ideal for cutting epoxy-coated rebar. Fastest, safest, and most economical way to cut rebar on the job. 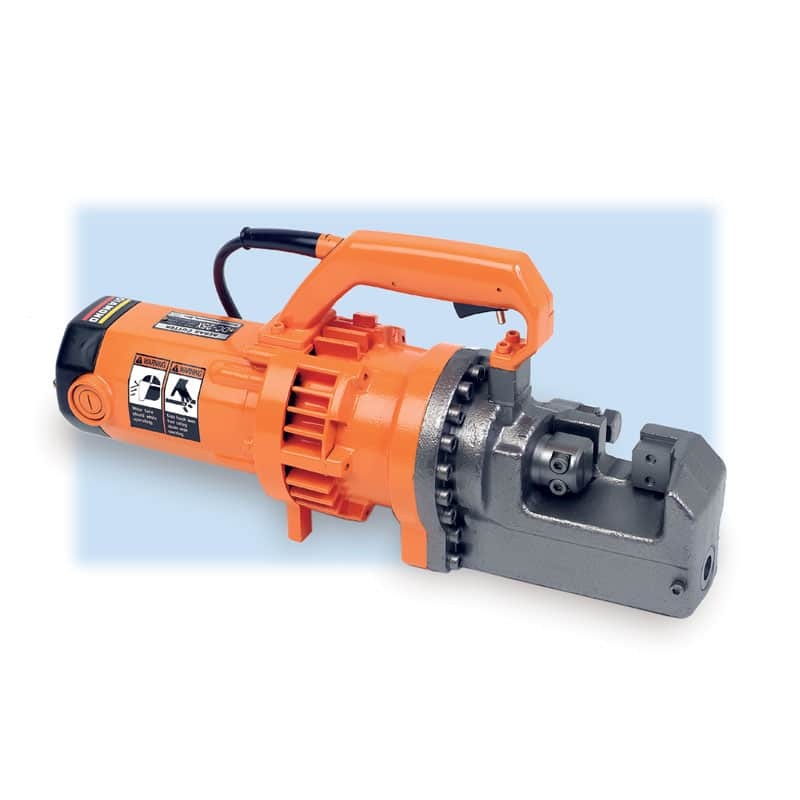 A safety relief valve for retracting the piston and a cutting guard are standard features. Ships complete in a carrying case, hydraulic oil and a tool kit. We also carry complete tune-up kits that contain carbon brushes, replacement cutting jaws, stopper bolts and hydraulic oil to keep your tool in top shape (#TU20K).